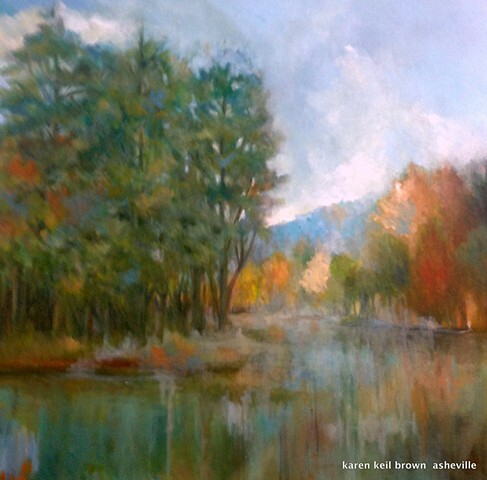 Karen has been a professional artist for over 25 years with a Bachelor of Arts degree in Fine Art from UNC - Asheville. 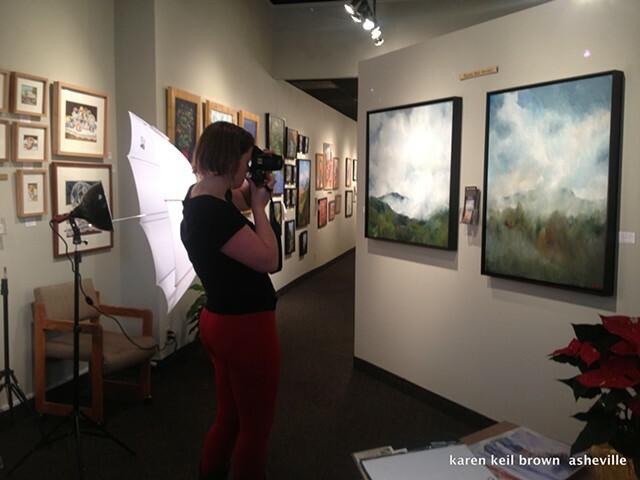 She has experience in commercial art and as an art teacher in the school system for over 10 years. 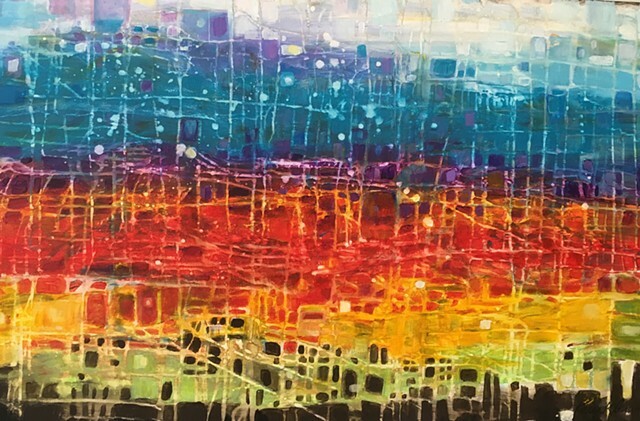 She has participated in numerous art exhibitions with her paintings in private and corporate collections throughout the United States. 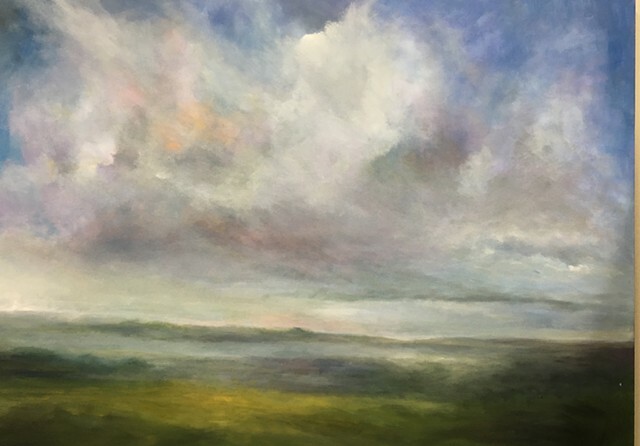 Karen Keil Brown, Discovers a delicate balance between earth and sky, realism and abstraction, In this currant body of work Karen captures the essence and tranquility of nature with a sense of internal energy. As forested mountainsides are cloaked in a muted depth of mist and shadow, Brown focuses our vision on a moment of serenity, revealing an elemental and transcendent dance between atmosphere and light. Brown paints with an intuitive and softly expressive brushstroke, distilling the ever-changing face of the landscape with an ethereal immediacy. “I paint on canvas maintaining the meditative freedom and breath of my signature style as I work in either medium. I usually paint in my studio using photos from my outdoor experiences to inspire my work, not to dictate the outcome of the painting . I like to free up my imagination to provide unexpected opportunities for a more creative process. I often use a dash of red within the painting to represent my internal passion for each piece. Painting landscapes is a personal way for me to connect with the spiritual and physical forms of nature. I hope to give the viewer a feeling of peace and tranquillity . I welcome commissions, as I enjoy incorporating my style into my client's vision. 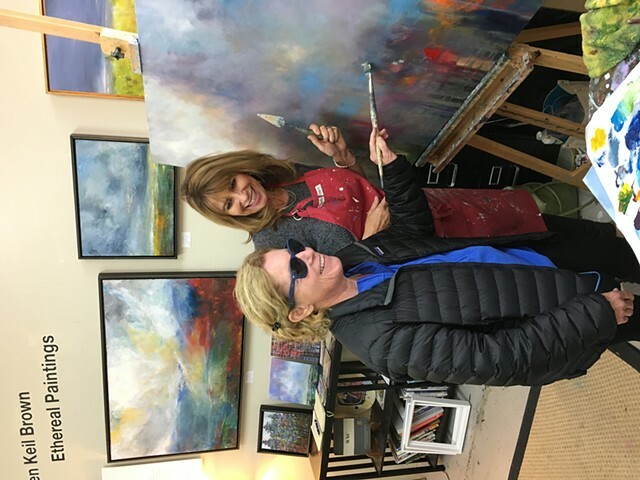 Karen supports Arts for Life Organization working with special needs children and their families and donates her art work to various charities. Pink Dog Studio #160 348 Depot St.